Is swim spa the best choice for you and your family? Many Australians now choose to install swim spas in their backyards. These flexible, convenient designs have a variety of benefits for the user – but are they always the most sensible and practical choice looking forward into the future? 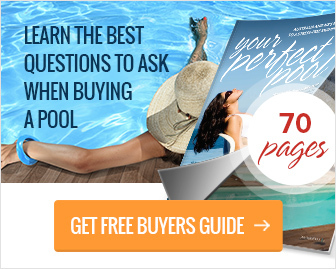 Here we take a look at the pros and cons, as well as alternatives to swim spas, so you can be fully equipped with all the right information before you buy. What is a swim spa? A swim spa offers a convenient compromise between a swimming pool and a spa. It is smaller than a regular pool but larger than a spa – it offers enough space to swim in, with spa jets adding current to the water and enabling the user to enjoy all the benefits of hydrotherapy. In many ways, it can be seen as the best of both worlds – but do the pros really outweigh the cons? Any swimming pool instantly offers a number of important health benefits for the user – swimming is one of the best full-body workouts you can do, as it uses practically every muscle in the body and is ideal for improving cardiovascular fitness. It’s a great way to stay in shape and maintain a healthy body weight, as well as being a highly enjoyable form of exercise. You can take part in swimming alone or with friends, whether you want to swim competitively or just enjoy a few gentle laps each day – any participation in swimming is highly beneficial for your health and wellbeing. The addition of the spa jets can add even more benefits to your swimming experience. The jets add current to the water, which provides you with a more intensive workout; the current creates more resistance, so your muscles have to work harder to push through the water. Spa jets can also provide a profoundly relaxing environment in the water, improving mental wellbeing by reducing anxiety and stress, and having a positive effect on physical health by lowering your blood pressure. Hydrotherapy has also been shown to be beneficial for those who are recovering from injuries or have problems with their muscles and joints, speeding up recovery and reducing pain levels. In addition to helping you feel better, spa treatments can also improve the way you look by nourishing and rejuvenating the skin, giving you an improved quality of life both inside and out. Depending on what you want from an aquatic workout and environment, swim spas can also have drawbacks in comparison to regular swimming pools. As they are designed for users who want to enjoy the benefits of hydrotherapy, they are equipped with generous seating areas. This means they are less spacious than a regular pool, offering a smaller stretch of unobstructed water, so they are not ideal for those who want to swim competitively or practice improving their lap times. Competitive swimmers are required to compete in natural currents, so the additional resistance of the spa jets will cause them to record slower lap times if they’re training in a swim spa rather than a regular pool. Conversely, they can also prove problematic for those who want to enjoy swimming for relaxation, as the current created by the spa jets requires more effort and energy to swim through. This is also a serious consideration if you have young children who can’t swim yet or are not old enough to be strong swimmers, as they could get into serious difficulties if they fell in, due to the stronger current – the same applies to pets. Extra vigilance is required around a swim spa in comparison to a regular swimming pool, to ensure children and pets don’t fall in. Weighing up the pros and cons of a swim spa in comparison to a regular swimming pool can help you make a decision, but it may not be enough to reach a definite conclusion. 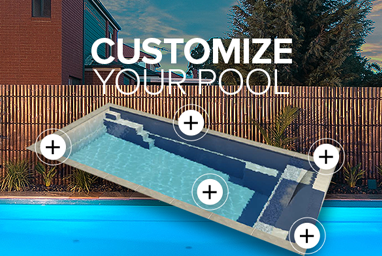 If you’re still unsure, there is a third option available to you – a pool and spa combo. Pool and spa combos are becoming increasingly popular in backyards all over Australia. This is a regular swimming pool with a dedicated spa area incorporated into the design. It’s ideal for serious lap swimmers as it offers a significant, unimpeded stretch of water with natural current. This ample space is also a perfect, safe environment for teaching children to swim, or enjoying family games in the pool. The spa section is part of the design, but offers a separate space with large seating areas, where you can relax and enjoy the benefits of the hydrotherapy jets. This is ideal as a stress buster, or if you want to rid yourself of aches and pains in your muscles and joints – as well as offering a rejuvenating boost before or after your swim! A pool and spa combo offer something for all users, no matter what your age or how you choose to spend your time in the water. What’s the difference in cost? One of the reasons swim spas are so popular is their relatively low price. You can purchase a high-quality swim spa for between $15,000 and $30,000, with many cheaper alternatives also available. A pool and spa combo involve a much greater initial cost – roughly double that of a swim spa. However, the price reflects the increased benefits offered. As a pool and spa combo can be tailored to suit your property and its surroundings, it is a worthwhile investment as it is an aesthetic feature as well as a functional one. The increased value it will add to your home ensures that it will be a more cost-effective option if you plan to stay in your current property for the foreseeable future. Compass Pools offers a variety of pool and spa combos in different sizes and designs, which can be tailored to suit your individual needs and tastes. You can customise the appearance of your pool and spa combo with our extensive ranges of beautiful Vivid and Bi-Luminite colour options – and if the surroundings are suitable, you can even have your pool and spa combo installed as an infinity pool, so you can truly feel part of nature as you relax in the water. Our friendly team are always happy to discuss your individual requirements or provide you with help and advice on pool and spa combos. Please get in touch for more information. Ensuring that your swimming pool and its environment is well lit makes it safer and more attractive. 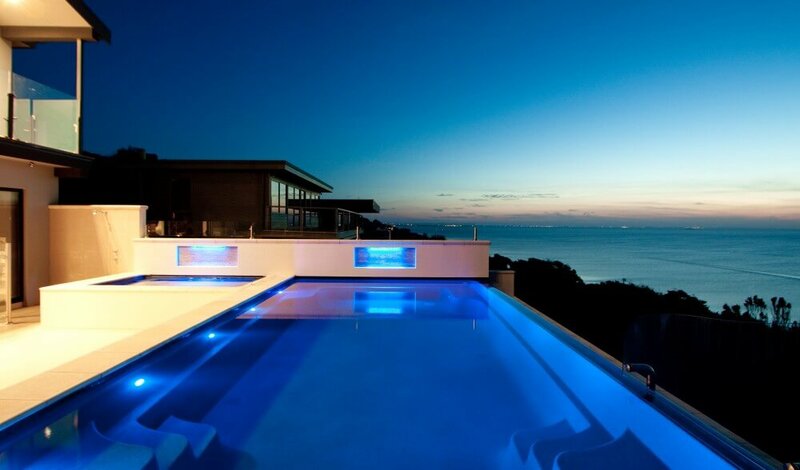 Pool lights also add a dramatic dimension to not only the pool but the surrounding area as well. It makes the pool light up and generates a glow that goes around the whole swimming pool. Did not find an answer? Get in touch with us today – we are happy to help! We specialise in building high-quality Compass fibreglass pools. We offer above ground pools, stock used and new caravans, sells and service marine equipment. We service Hamilton, VIC, Mount Gambier, SA and surrounding areas. © Copyright.© 2016-2018 Donehue's Leisure. All Rights Reserved. Website design, development and SEO by Catnapweb.